Beware of paying application fees or security deposits before you actually view the property. Today’s world is fast-paced and lots of transactions happen online, but protecting yourself takes first priority. 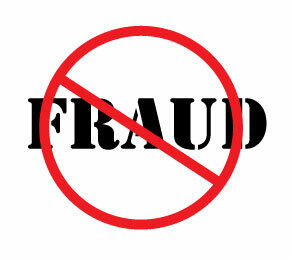 Beware of individuals who ask for cash only and won’t accept guaranteed funds such as a cashier check or money order. You should never provide credit card or bank account information or wire funds to people you don’t know. Research the price of comparable rentals in the neighborhood to see if the price is “too good to be true.” Everyone wants a good deal, but is it really a good deal or is it a scam? Run an online search of the property address, the landlord’s name, and any other contact information, such as an email address and phone number. Watch for properties that come up for sale and not for rent; non-existent addresses; or properties that appear more than once and with different contact information. Be especially cautious when no or limited contact information is provided. Copy and paste a section of the ad into a search engine. If the section pops up in another unrelated ad, assume that it’s a scam. What can renters who have been scammed do? Unfortunately, most victims don’t get their money back, but by reporting the scam, they can help save others from the same fate. Immediately contact the website, newspaper or other source where the ad was posted to report the scam. Report the incident to local law enforcement. Remember that the home seller may be unaware of the scam, too. Be careful not to lay blame if you can’t prove anything. Ask law enforcement to contact the home seller about the scam. File a complaint with the Federal Trade Commission (FTC) and the State Attorney General’s office. We wish we could share a happy ending for those who lost money. But the truth is, the criminals who run these scams are difficult to catch. However, you can protect yourself and others against scams by following the tips presented here, and on rental and real estate websites. That’s the best defense of all.